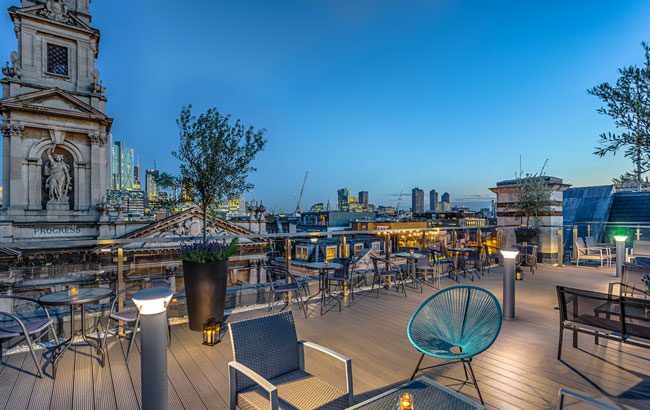 London’s newest rooftop venue joined the growing list of sky-high drinking spots in Shoreditch last month, having taken over the fifth floor of the Courthouse Hotel. Upper 5th boasts panoramic views of the capital and a cocktail menu by created by bartender Danut Fundulea to complement the bar’s selection of small plates, sharing options and shisha menu. The London venue features The Upper Bar, available for drinks with standing tables and stunning views, and The Garden, which is for reservations only and includes cabana sofa-bed seating.